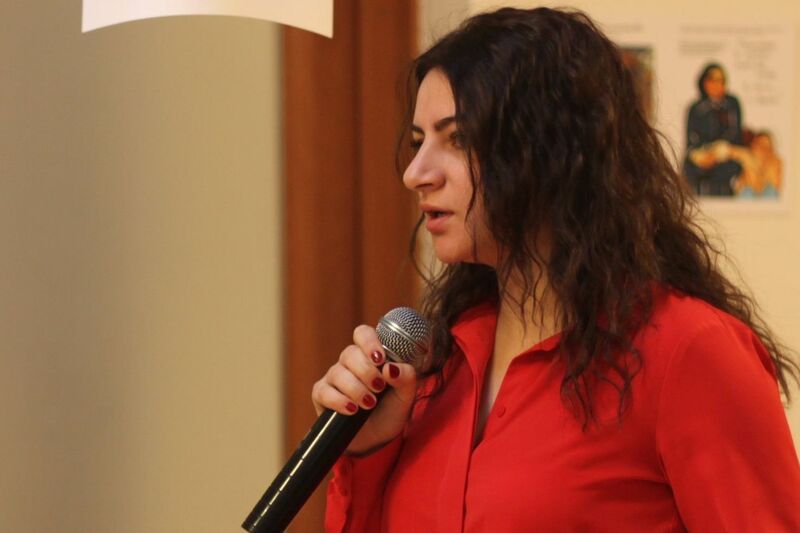 Tehmine Yenokyan is a journalist, documentary filmmaker, organizer and participant of several political movements as “Teghut Civil Defense Initiative”, “SOS Amulsar Park, “100 Dram”, “I am against”, “Electric Yerevan”. She is the author and producer of documentaries including: “Conquest in the Fight for Rights” (2015), “Periodic Disease” (2015), “You Are the Next” (2014), “December 2 Folder” (2014), “The Anatomy of Armenian Oligarchy” (2012), “Massacre of the Nature” film (2012). As a journalist she collaborated with Ecolur.org (“Ecolur” Informational NGO), “Prime” Journal, “Horizon” News Program, Forrights.am (Journalists for Human Rights NGO). Tehmine holds MA degree in Journalism from Russian-Armenian Slavonic University.